Motorhomes, Panel Van Conversions, Horse Boxes, Expedition Vehicles, Race Trucks, Camper Vans, Camper Van Converters, Catering and Ice-cream Vans, Public Address Systems, Fairgrounds, etc. Specialising in quality Automotive Vehicle Glass. We can supply and fit a wide range of Flush Fit Bonded Van Windows for most makes of Panel Van Conversion! By our many reputable agents. 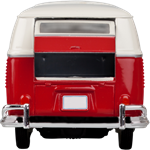 Mail order supplier to the Campervan Conversion Trade and to small / Private Campervan Converters. “We treat people like we want to be treated ourselves” !! Here at LVW we work hard to give you a one to one personal service. Unlike the larger companies I wont try and pass you off with excuses about late deliveries etc. I’m always here to talk to you and ask advise from and I guarantee the best service possible please contact me with any queries that you have and I will be happy to help. We can supply Rubber Fit & Bonded Windows supply windows for most makes of Panel Vans on the road – Citroen Relay – Fiat Ducato -Ford Transit – Mercedes Sprinter Renault Master – Renault Trafic, Volkswagen Crafter- Volkswagen Transporter T3-Volkswagen Transporter T4, Volkswagen Transporter T5, etc. VW Privacy T5 Sliding Windows. Now available with No Drainholes ! A complete range of Bonded Volkswagen Windows available. 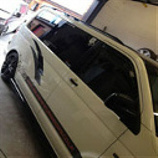 VW T5 windows and many more! VW Caddy & much more! Volkswagen Transporter T4 SWB Rear QuartersBarn Door & Tailgate in Privacy Glass. WE NOW STOCK REAR QUARTERS FOR THE COMPACT VANS IN LIGHT GREEN TINT & PRIVACY GLASS. To see our full range of window solutions please view or download our Vehicle Windows Price List PDF, from the prices link on the top menu bar. 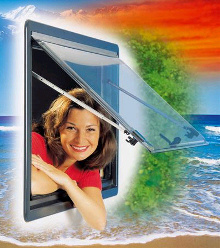 ... “Leisure Vehicle Windows” photo gallery. Bedford Rascal, Citroen Berlingo, Citroen Dispatch, Citroen Nemo, Citroen Relay, Fiat Ducato, Fiat Scudo, Ford Transit, Ford Transit 2014, Ford Transit Connect, Ford Transit Custom, Hi Top Roof Windows, Hyundai H100, Hyundai iLoad, Iveco Daily, Landrover, LDV Convoy, LDV Maxus, Mercedes Sprinter, Mercedes Vito, Nissan Interstar, Nissan NV200, Nissan NV400, Nissan Primastar, Peugeot Bipper, Peugeot Boxer, Peugeot Expert, Peugeot Partner, Renault Master, Renault Trafic 2014, Suzuki Carry, Suzuki Supercarry, Toyota Hi-Ace, Toyota Powervan, Toyota Pro-Ace, Vauxhall Combo, Vauxhall Movano, Vauxhall Vivaro, Vent Windows, Volkswagon, VW, Volkswagen Caddy, Volkswagen Caddy Maxi, Volkswagen Crafter, Volkswagen LT, Volkswagen VW T25, Volkswagen VW T3, Volkswagen VW T4, Volkswagen VW T5, Volkswagen VW T6. Copyright Network Magic Ltd © 2008 - 2016. All Rights Reserved.